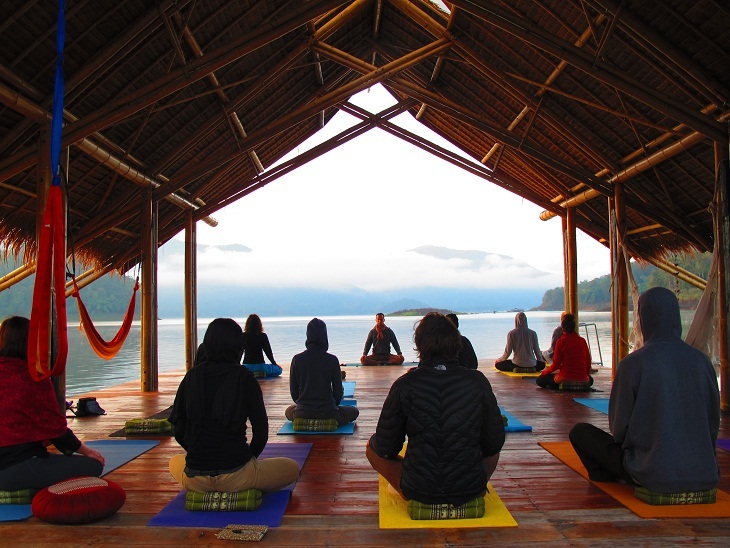 You want to deepen your practice, reconnect with yourself and enjoy stunning natural surroundings away from the busyness of the city? 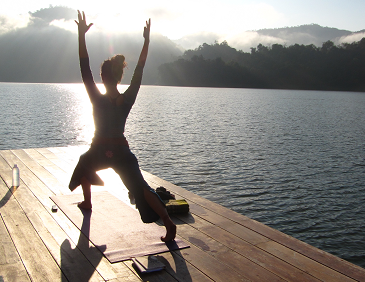 Then this four day Yoga Immersion is for you! 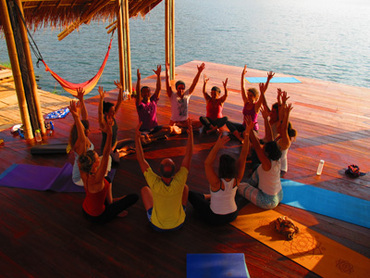 With two yoga sessions per day, meditation and an introduction to philosophy and anatomy, you will replenish your body and soul. There will be plenty of time to swim, read and relax. We will have two dynamic yoga sessions per day of 1h30. Yoga classes will be intermediary level, so best if you have done some yoga before, without having to be a pro. Morning classes will be more energising, focussing on back-bends, arm-balances and inversion. Afternoon classes will have a more inward focus, main working with forward folds, hamstrings and hips. We will practice guided or silent sitting meditation each morning and some evenings. Meditation sessions will last for 20 to 30min. The idea of meditation is to bring our body and our mind together in the here and now. Often our body is in one place but our mind is drifting off into the past, future or into ‘wonderland’. When we sit just to sit, we are able to arrive in the present moment, release tension and find peace inside of ourselves. During these sessions we will look at applied anatomy principles, focusing on the mayor joints and muscle groups in the body, and their application to asana practice. We will explore the century old wisdom of two main text: the Bhagavad Gita and the Yoga Sutras. The philosophy sessions will focus mainly on the symbolic meaning and the translation of this wisdom into real-life. On 3 December, we will leave together from Chiang Mai by mini-van. Once at the lake, Om Waters longtail boat will bring us on a beautiful 20 min ride to Om Waters retreat center. On 7 December, we will return together to Chiang Mai. 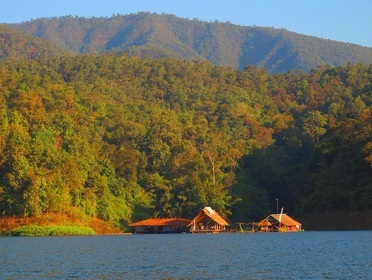 Including accommodation, meals, transportation from/to Chiang Mai and all activities.